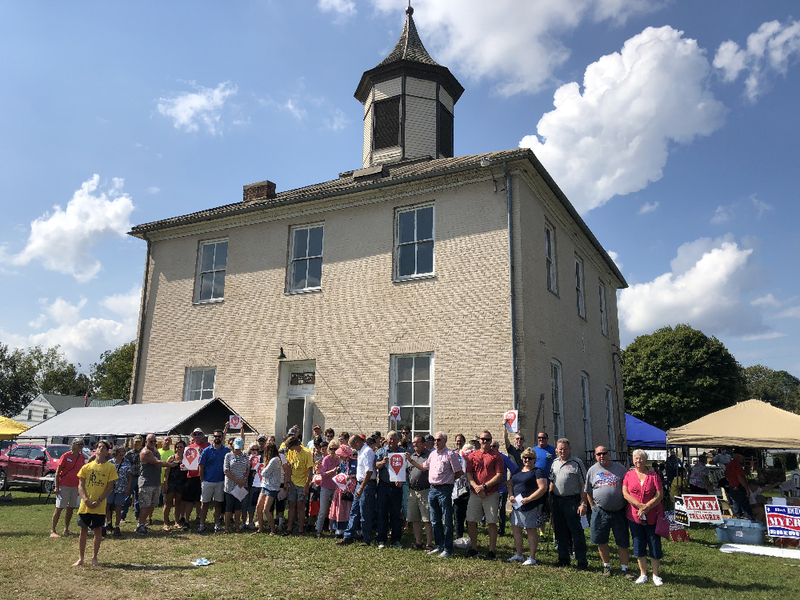 Reaching the age of 200 is a major milestone for any Hoosier building, but for the Perry County Courthouse in Rome, it’s remarkable. For a long time no one was sure the building would make it to its bicentennial. Located on the banks of the Ohio River, Rome was a bustling community the nineteenth century, boasting shops, a hotel, a post office, and a busy riverboat landing. 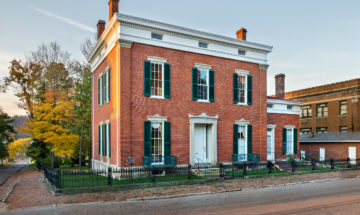 Modeled on Indiana’s first state capitol building in Corydon, the courthouse served as the center of county government until 1859, when the county seat moved to Cannelton. 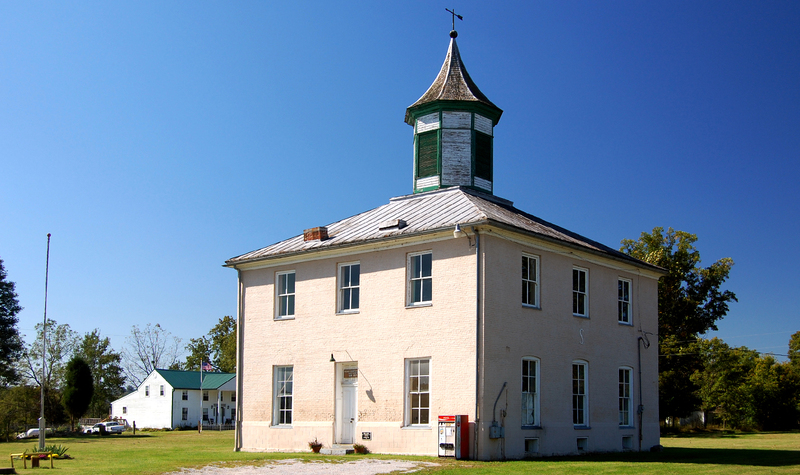 After the county government decamped, the building transitioned to use as a school, doubling for a time as a church and Masonic Lodge as well. 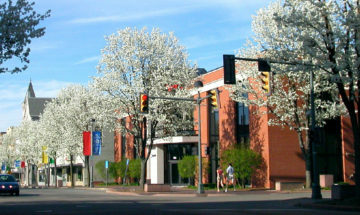 Since 1966, the former courthouse has served as a community center. Despite the courthouse’s long role as a community centerpiece, its future remains uncertain. Today, Rome is primarily a summer campsite, with few year-round residents. Rome Community Center, Inc., a dedicated nonprofit group, owns the building but struggles with the cost of maintenance and repairs. 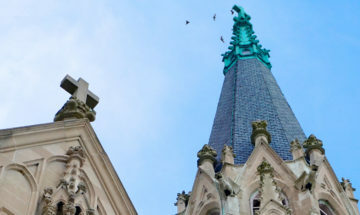 In 2009, Indiana Landmarks included the courthouse on our annual 10 Most Endangered list. We gave the group a grant for an architectural assessment of the building and a loan for repairs to the cupola. But what the building really needs is viable use, one which generates enough income to sustain it long-term. During the first weekend of October, residents past and present, county officials, and state legislators gathered for a reunion at the courthouse, culminating a year-long celebration marking the courthouse’s bicentennial. Greg Sekula, director of Indiana Landmarks’ Southern Regional Office, and Jeannie Regan-Dinius from the Indiana Division of Historic Preservation and Archeology both spoke at the event about the building’s importance. The Community Center is forming a Friends of the Rome Courthouse committee to raise funds within the coming months to put a new roof on the building. Contributions to the fund can be directed to Rome Bicentennial Committee, 11473 SR 70, Derby, IN 47572. Learn more at www.romeindianacourthouse.com or on the Rome Courthouse Facebook page.